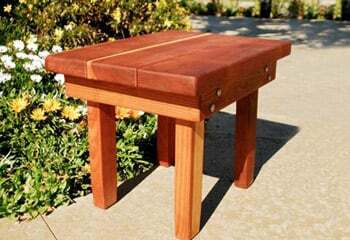 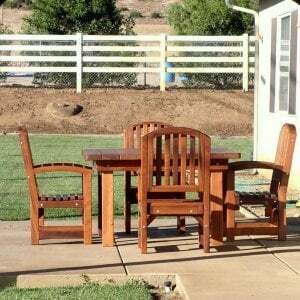 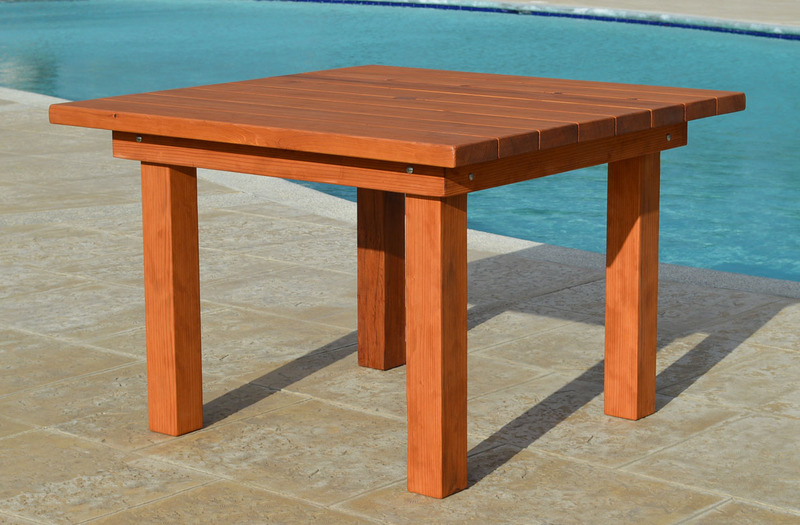 Our charming Square Wood Patio Table from Forever Redwood is robust, rustic, and ready for your home, retreat, or office. 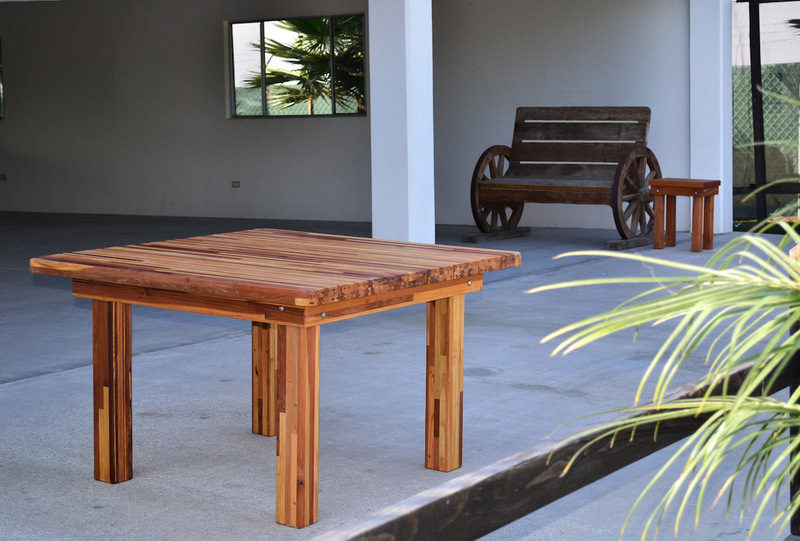 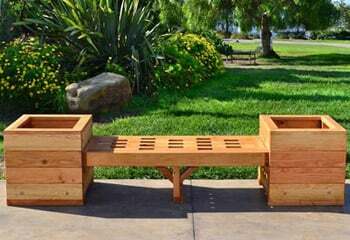 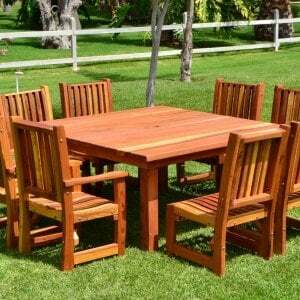 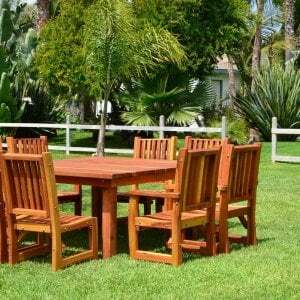 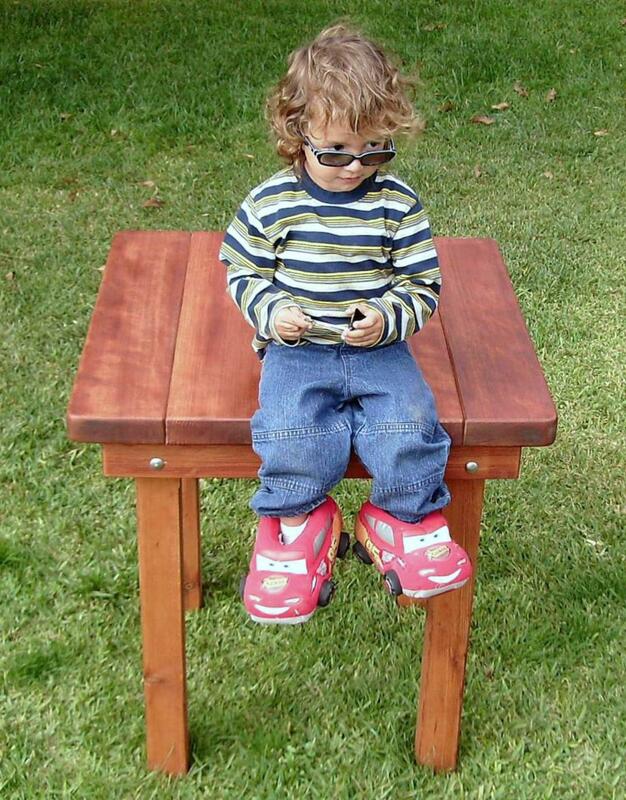 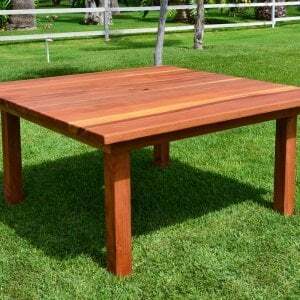 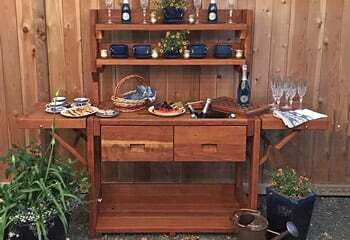 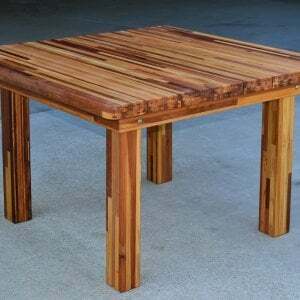 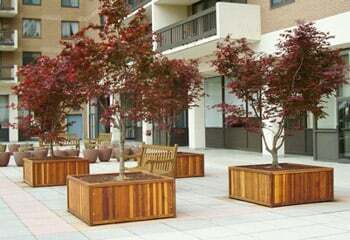 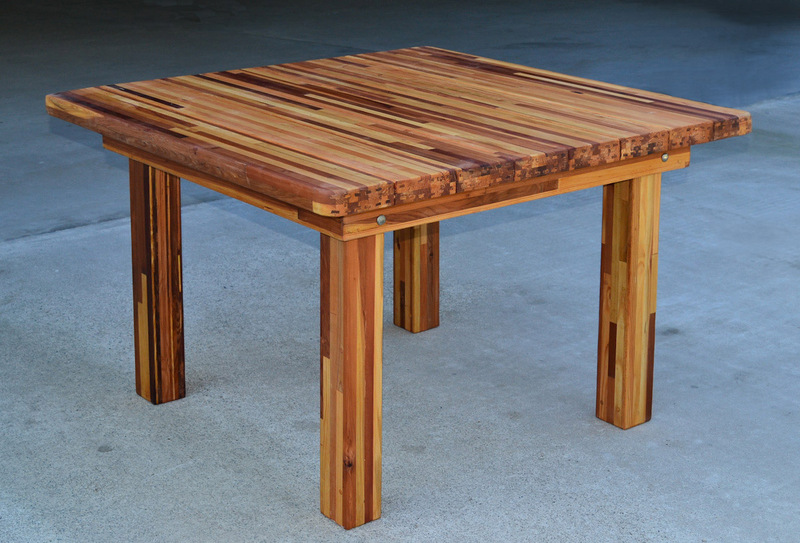 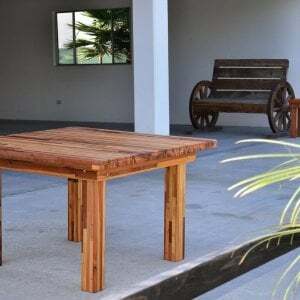 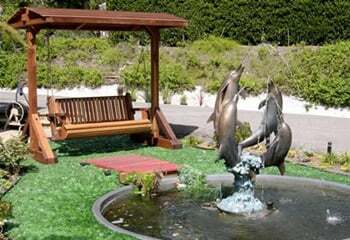 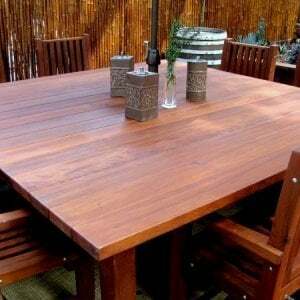 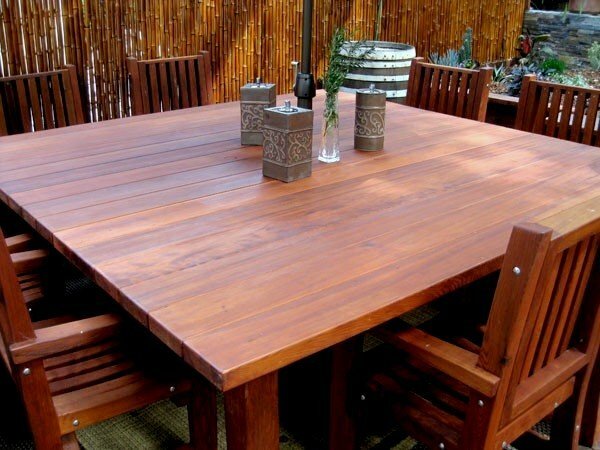 Make any outdoor area shine with this ruggedly fashionable table; made from 100% quality, California reforested wood. 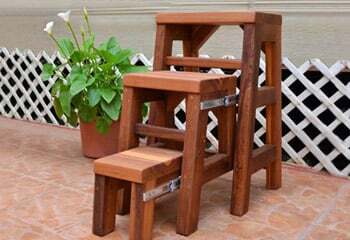 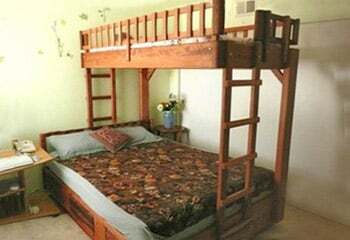 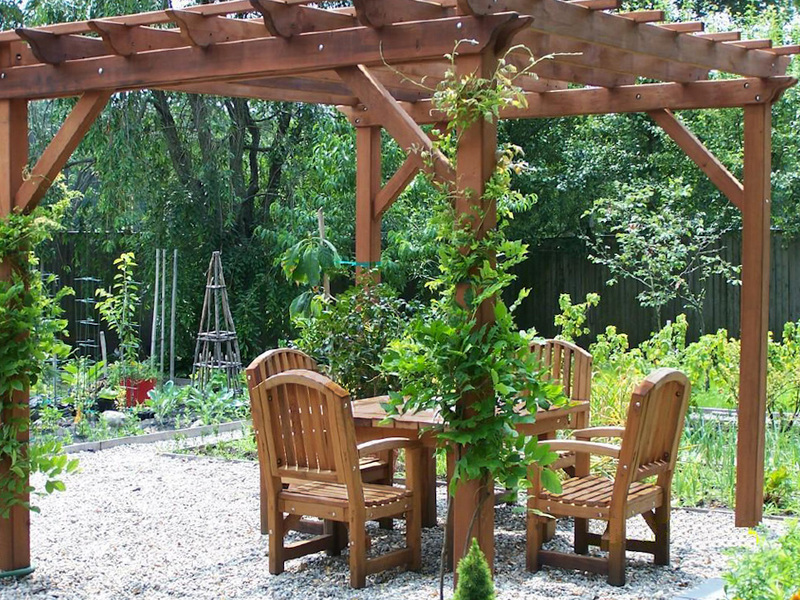 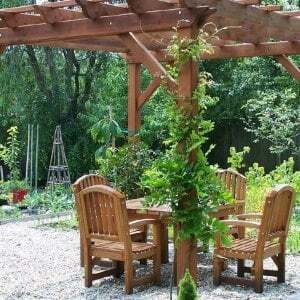 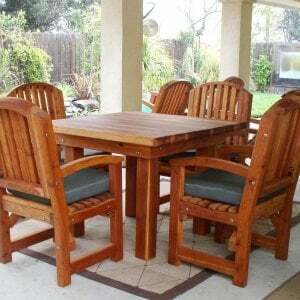 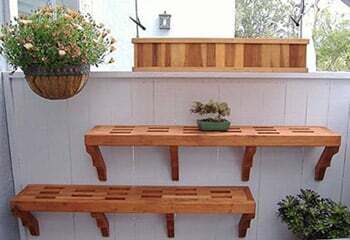 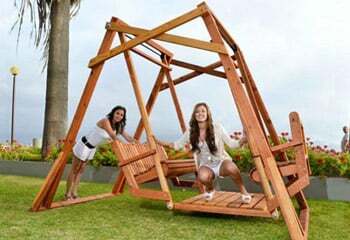 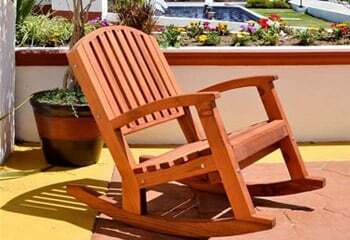 Add chairs, or order your Square Wood Patio Table alone. 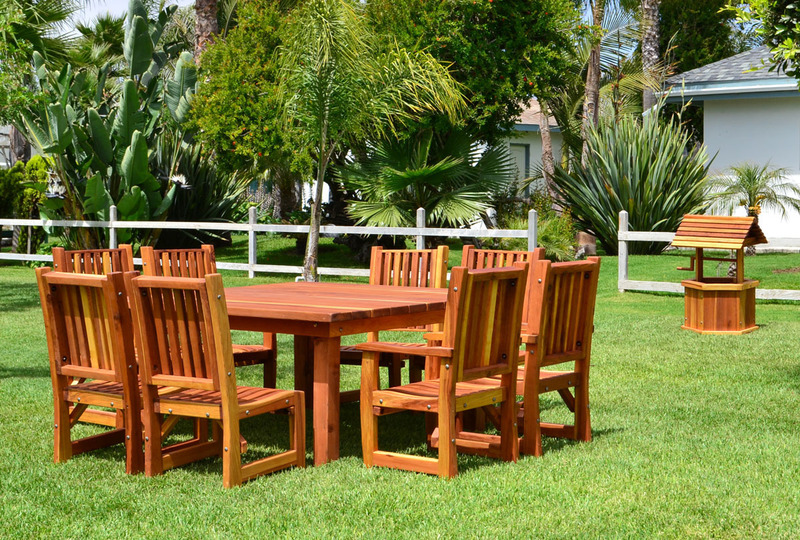 However you like it, we’ll set it up for you! 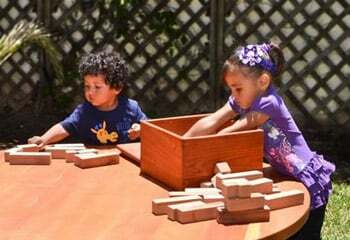 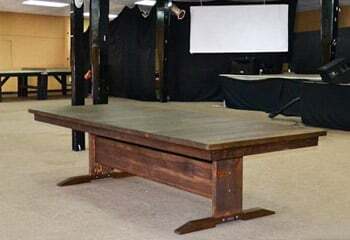 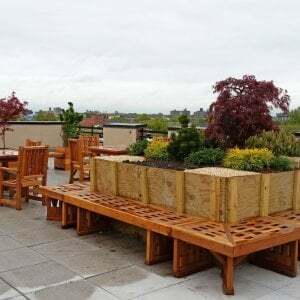 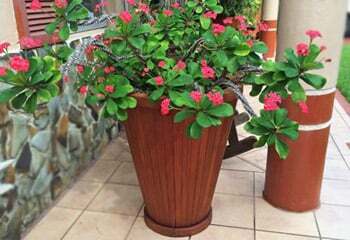 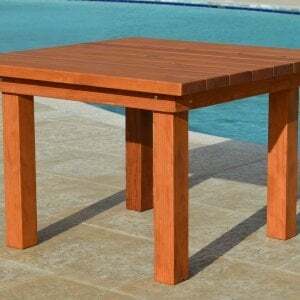 These tables can be sized to fit, and run from 2.5 to 6.5 feet squared, making it perfect for yards and patios of any size. 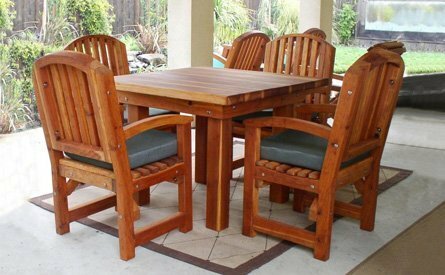 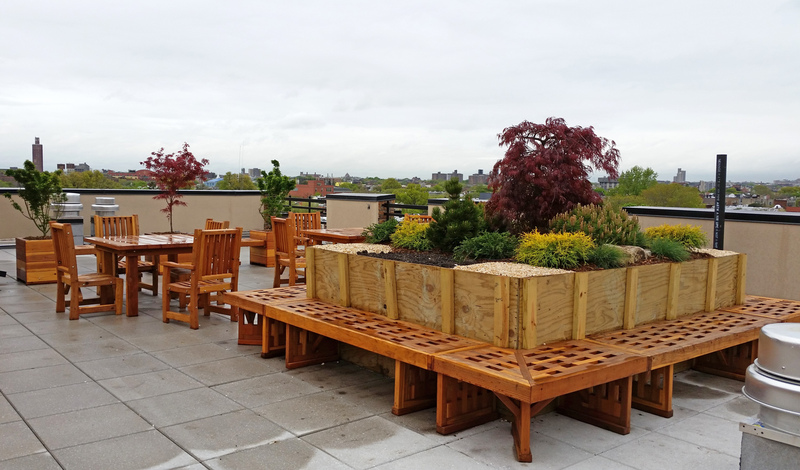 Our Square Wood Patio Tables are “overbuilt” for extra durability, and have nearly 40% more wood than the tables from our leading competitors. 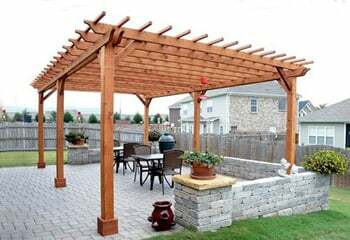 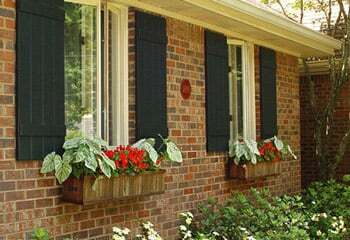 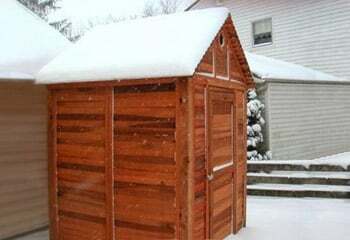 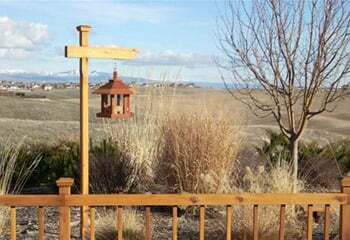 They’re designed for the elements, and will last you for generations with practically no maintenance or regular upkeep. 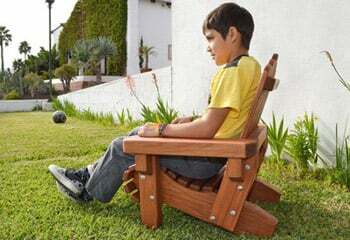 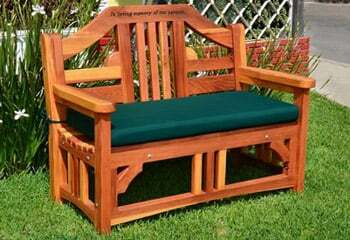 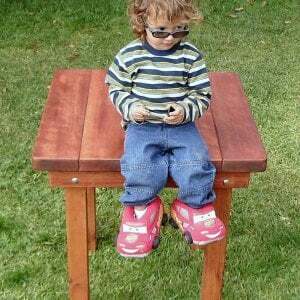 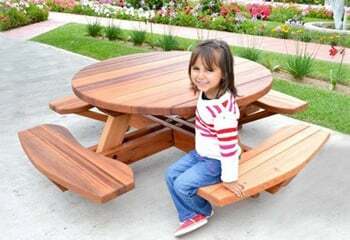 Available in sizes from 2.5 to 6.5 feet square with benches and/or chairs that seat up to 20 adults comfortably. 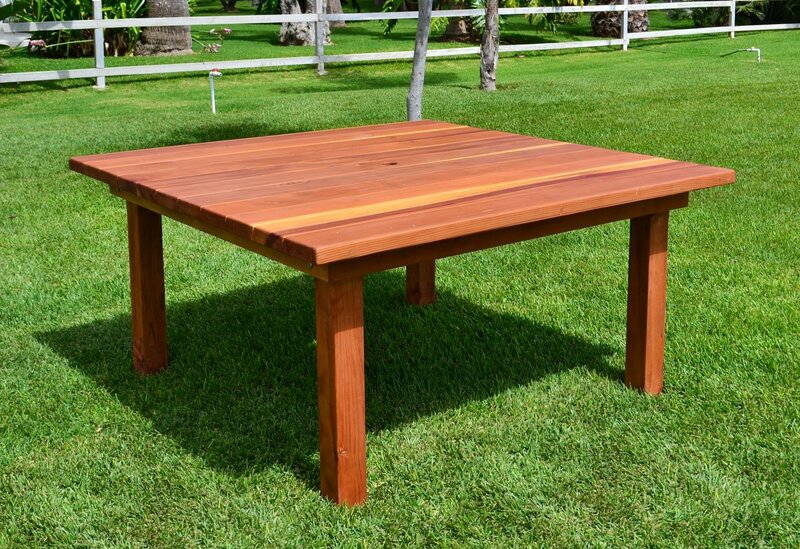 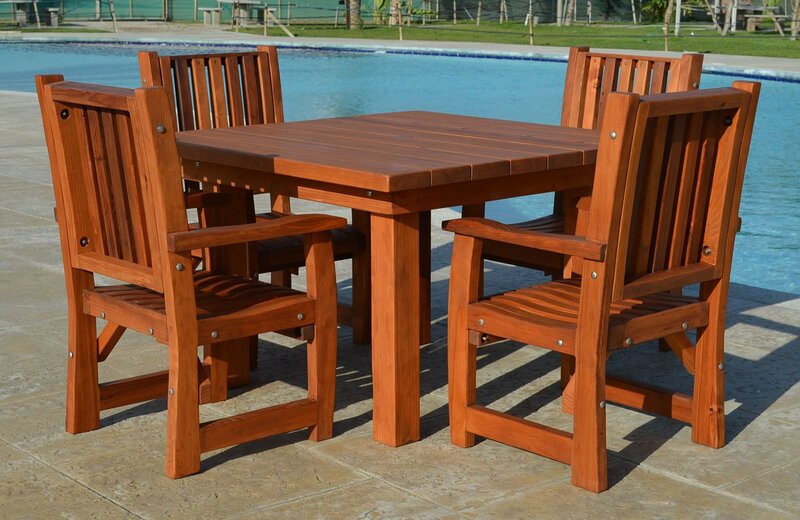 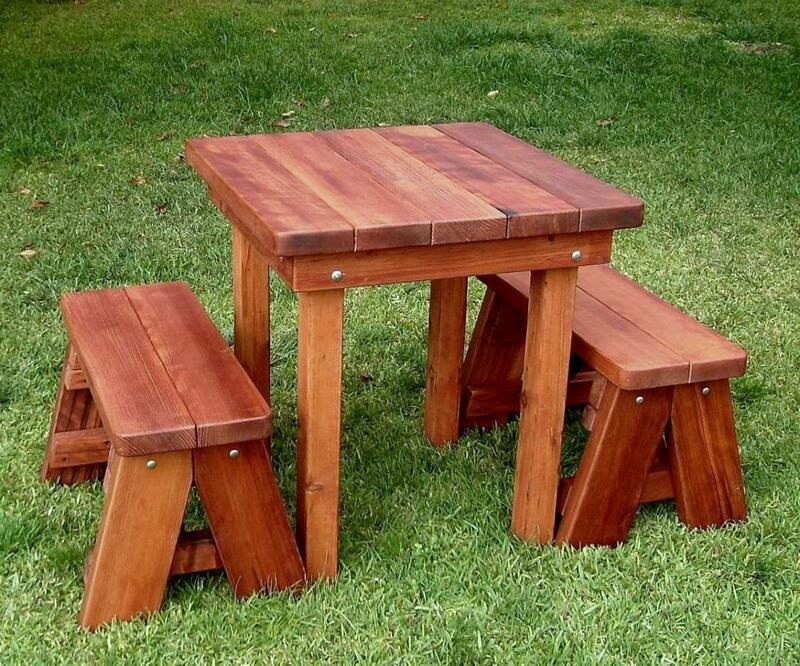 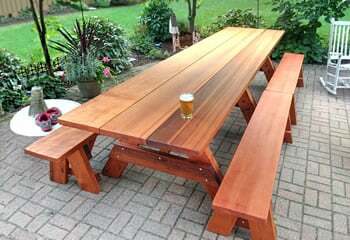 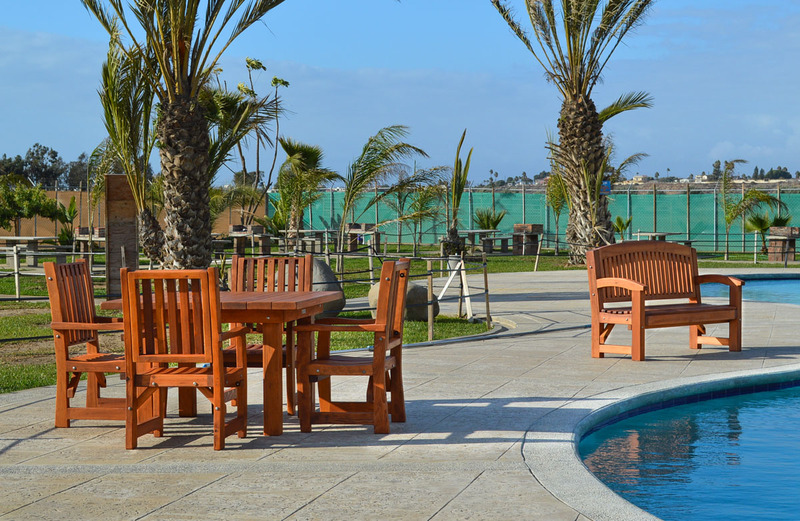 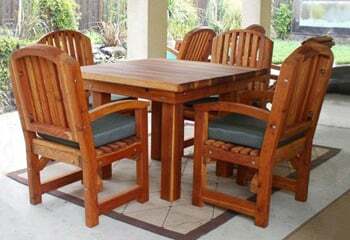 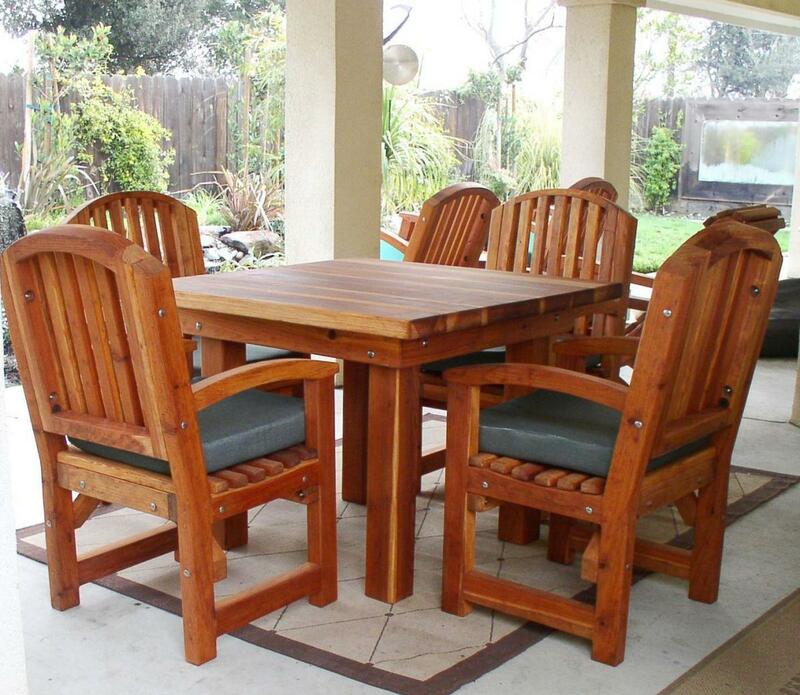 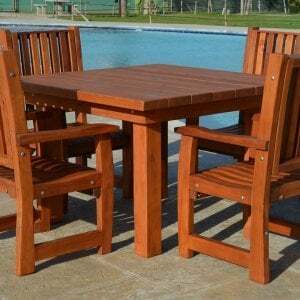 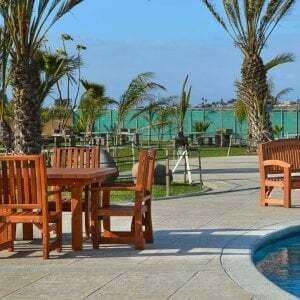 Forever Redwood offers the largest sizes of all wood square patio tables available anywhere. 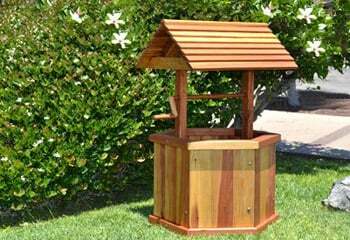 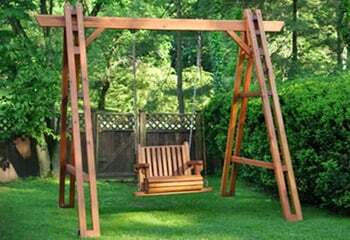 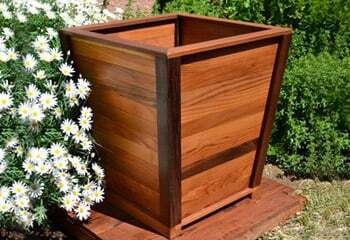 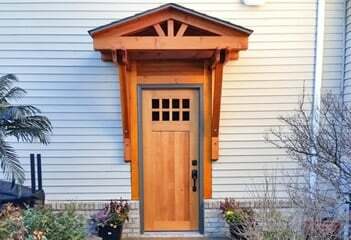 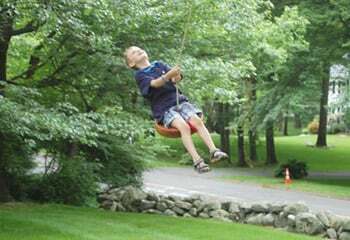 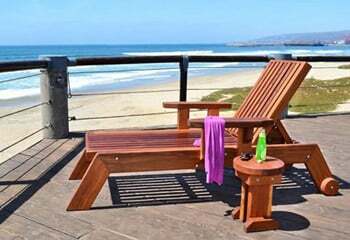 Materials to truly last a lifetime from our extra thick, finely sanded Redwood that outlasts cedar/teak to stainless hardware and the best weather resistant sealants. 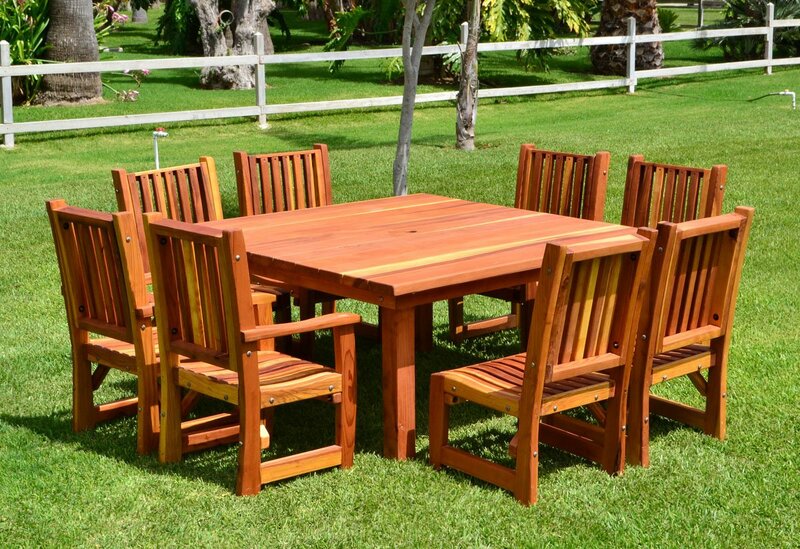 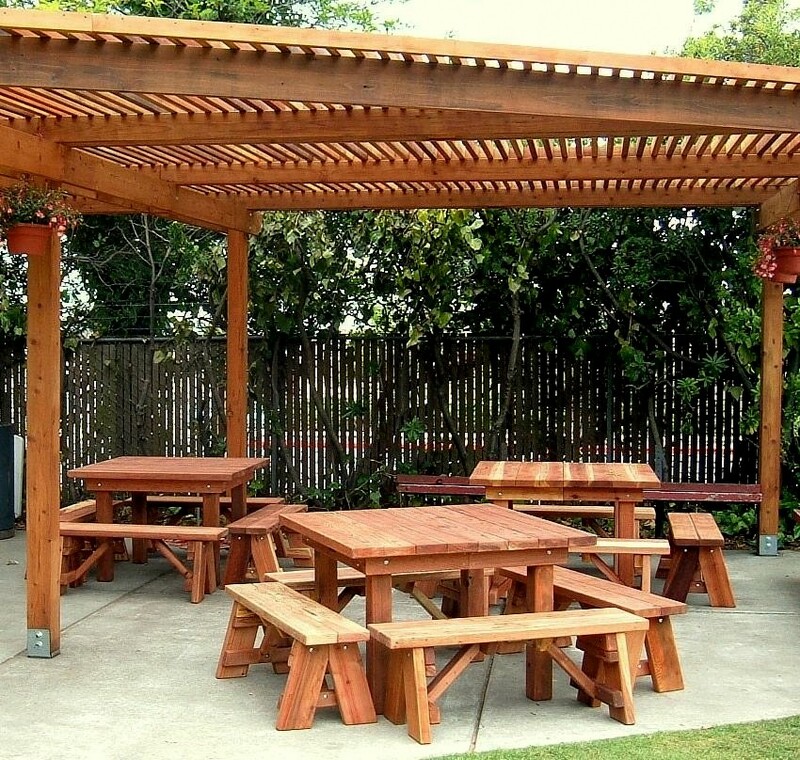 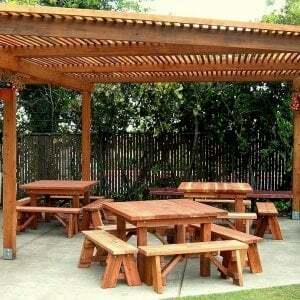 Whether it’s just the table, a table and chair combo, or a full patio set, we will customize your order just for you. 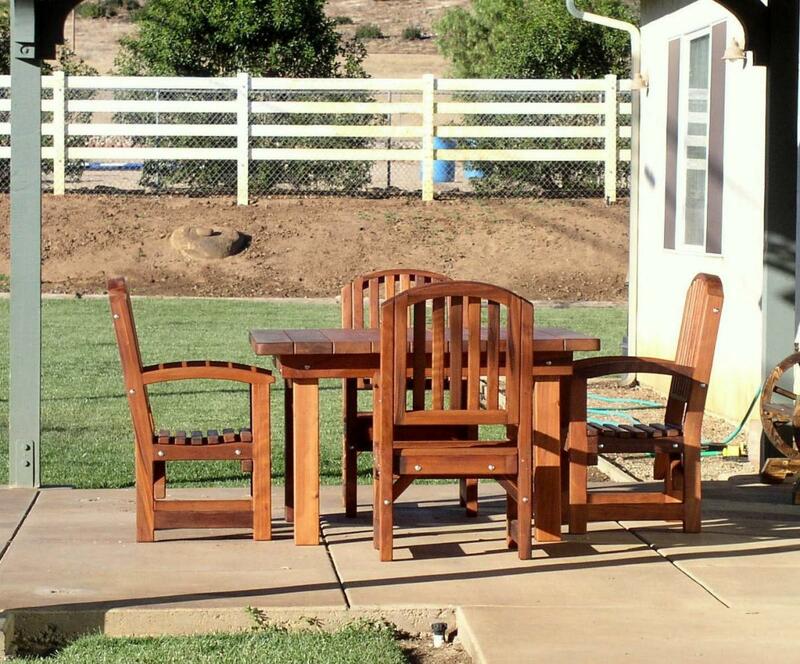 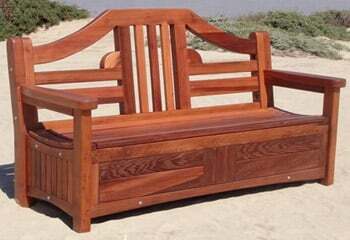 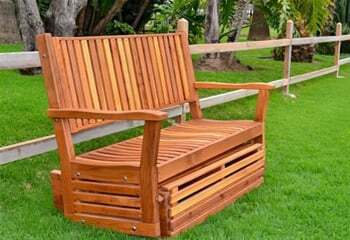 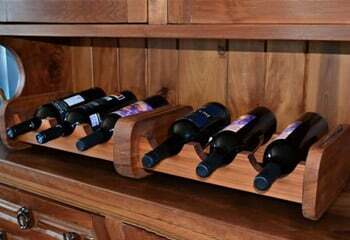 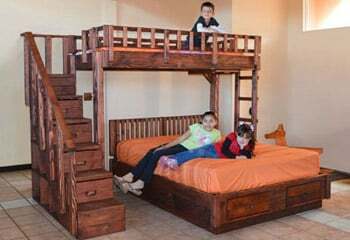 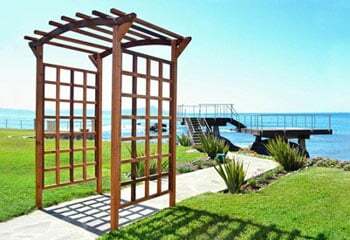 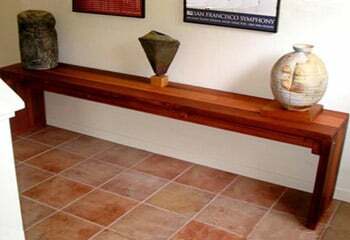 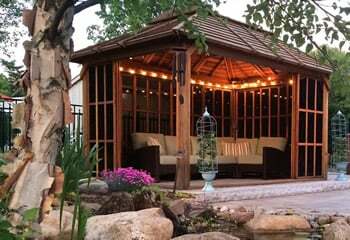 Choose from a variety of beautiful wood types and styles, and place your order right here on our page. 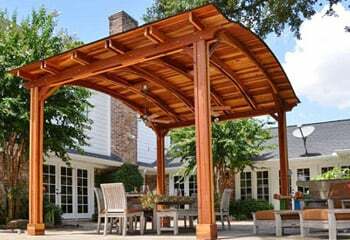 If you’ve got any questions, give us a call, and find out about our install options and 10-30 year warranties. 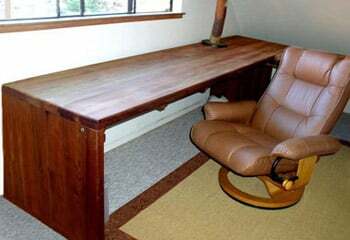 We can have your unique design set, and sent to you within just three days. 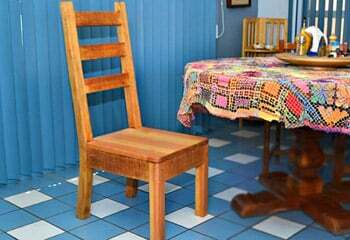 All tables with Chair seating will come with Ruth Chairs (end chairs with arms and side chairs armless) unless an alternative chair style is selected in Advanced Options. 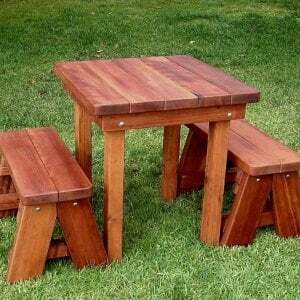 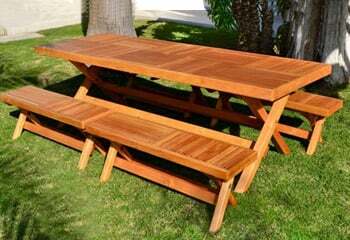 Tables with Bench Seating will be in the Forever Picnic Bench style unless an alternative bench style is selected. 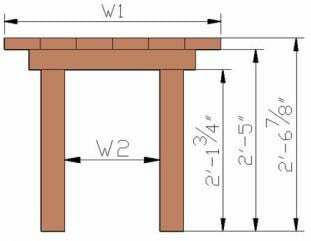 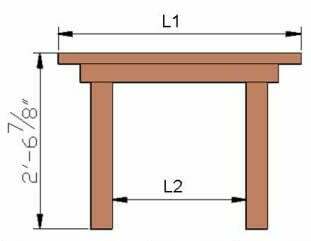 All Square Patio Tables are 31"H. The table aprons are 3"H.